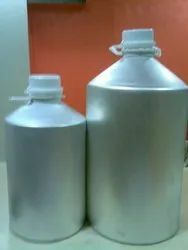 We offer high quality Plastic Square Bottles with standing high demand in market. The quality material is used in manufacturing to meet all the requirement of storage purpose for various use. They are available in various volumes and can be customized as per clients' requirement. We offer a wide range of premium quality bottles manufactured using high quality plastic. Our assortment of bottles is available in different shapes and sizes and they are customized as per the specifications set by the clients. We under go very detailed quality check to see that the bottles are durable and leak proof. We offer a large assortment of glass vials, with a variety of color and closure options. Available in clear, amber, green, and blue, these glass vials have a variety of commercial and personal uses. Dropper options include the plastic dripper insert or the black bulb dropper. We offer wide range of Pet Jar used fro storing cream, scrub face pack. 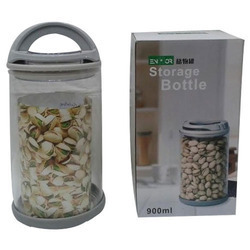 Pet Square jar available in size 100gm, 200gm, 300gm & 500gm. As a prominent company, we are engaged in offering a wide range of 20Ml Glass Bottle to our valuable clients. These 20Ml Glass Bottles are broadly used in many of industries for meeting storage needs. Offered products are made by our adroit professionals using quality assured glass and modern machines.